There are many people who regard take-out ordering from Chinese or other restaurants as an inalienable right. And restaurants have tried to satisfy that right even putting their employees in danger as they attempt to make bicycle deliveries during downpours in which there are torrential rainfalls and hurricane level winds. There's even anecdotal evidence pointing to establishments competing for business during tornadoes and tsunamis. When you talk about rights, there's always the matter of limits. In the famous Oliver Wendall Holmes decision (Schenk vs. U.S.) about “crying fire in a crowded movie theater,” the limits of free speech, for example, are questioned under certain circumstances. So what about the ordering of say Chinese food in the aftermath of a nuclear attack? Should those who enjoy ordering in, expect to see the world weary bicycle delivery person appear at their door with mushroom clouds appearing on the horizon? 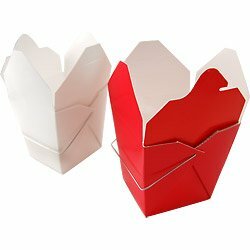 To what ends will your average Chinese restaurant, pizzeria and diner go to make sure their customers can place their orders? Of course the right to prompt take-out service is not legally recognized by the constitution or by municipal or state authorities, but there's a de facto situation whereby any Chinese restaurant that's not fulfilling its orders promptly is going to find themselves as extinct as one of the species of pterodactyls who disappeared during the ice age. The implications are enormous both for restauranteurs--who are coerced into having to produce under life-threatening conditions--and for their clientele who risk facing starvation during nuclear Armageddon.